Clear Lake is a breathtakingly beautiful 2,000-acre inlet of Galveston Bay. It is the third-largest pleasure boat basin in the United States. 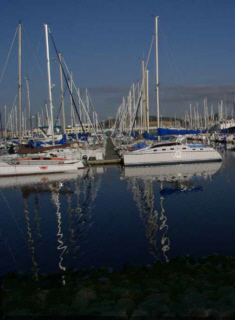 More than 8,000 marina slips cater to fishing vessels, yachts, and boats in the area. For a rental apartment of your choice in Clear Lake check our apartment locator for extensive, current and free listings. Clear Lake area has well designed apartments for waterfront living where residents and visitors enjoy panoramic views of Clear Lake and Galveston Bay. This area includes lake front communities such as Clear Lake Shores, El Lago, Kemah, League City, Nassau Bay, Seabrook, Taylor Lake Village, Webster, and the Clear Lake City community. A rental apartment in the Clear Lake area ensures great fishing, camping, boating, and a comprehensive array of other sport, business and leisure activities that allows a healthy and exciting lifestyle. Apartments in Clear Lake are suitable for all kinds of people like artists, sports enthusiasts, families with young children, and business professionals. The lifestyle is relaxed and comfortable, but fast paced as any rapidly growing city. Houston is a haven for nature lovers. Enthusiasts from all over are attracted by its serene natural beauty. All the apartment communities are well connected to each other and excellent roads provide easy and quick access to Houston and surrounding cities. For the right apartment that suits your individual needs Clear Lake area offers the widest options on apartments, relocation and property management consultancy. We provide a free service of hundreds of apartment listings for the Clear Lake Area in Houston. Please check our apartment locator for extensive listing of apartments, condos and other housing availabilities in the Clear Lake area.